​The Boston Uprising signed Renan "alemao" Moretto to its roster ahead of the Overwatch League Season 2, the team revealed Wednesday. ​​Alemao is the newest player to join the Boston Uprising in preparation for the next season of the ​Overwatch League. He is a support player known for his gameplay on heroes like Lúcio and Zenyatta. 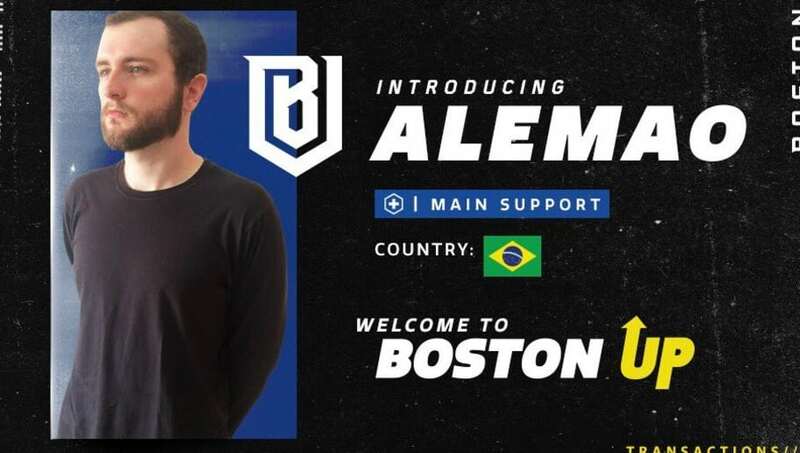 Alemao is a well-known name in the Overwatch Contenders scene in South America, and was a member of Team Brazil since 2017. The Boston Uprising made major roster changes ahead of Overwatch League Season 2. It released its breakout DPS player Stanislav "Mistakes" Danilov before releasing Shin "Kalios" Woo-yul, Connor "Avast" Prince, and Mikias "Snow" Yohannes. The organization then signed Jeffrey "blasé" Tsang from Gladiators Legion, the Academy team of the Los Angeles Gladiators, and later signed Park "Axximo" Min-seob and Kelsey "Colourhex" Birse. Alemao joins Kristian "Kellex" Keller and Kwon "AimGod" Min-seok as the team's support players.